This is one of my favorites fabrics now a days, Chiffon is the new way of having a simple, light, fresh way to look delicate. You can wear them in several ways, you can find skirts, dresses, tops, even scarfs made of this subtle material, i found some pictures showing how you can put some outfits together with a piece of this trend. Tell me what you think about this in the comments. I also ardore chiffon! It's such a great fabric for summer. 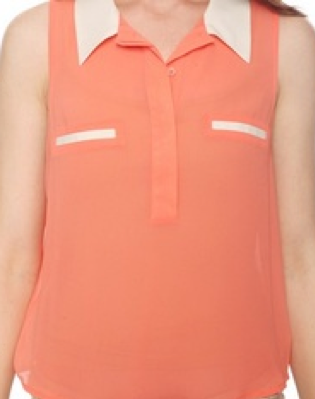 I've got a few shirts and they are so versatile; I can wear them to work with a vest or dress them up for a night out. the top and bottom dresses are adorable! !